I'm pretty sure it can mean much more, but this time it was "pure bear" (I hope that don't mean something different ;) Cheers! I like this idea, I will implement it, kcheers! ну прив всем как вы выигрываете? Is there any chance you can send me the trade offer because I accidentally deleted a few of the winning raffles and I really don't want to get the items wrong. Thank you! http://tf2r.com/k7yypda.html Can you accept my offer please ? why it is http://tf2r.com/k0knf3z.html и http://tf2r.com/kpzf9ol.html? I knew that revival spell I've been working on would fix you right up! hey i just won a raffle from you can you add me, cus i m unable to add you. i won your raffle can you add me? Thanks for the giant scrap raffle. no more negative points, congrats! 0 red points.. champagne or white wine? [stupid site just cut my last comment off D:<] to sharing with this lovely community. Actually I have no idea how much of the reduced neg rep was my work - I didn't count the total, but it was a lot. It might be that others had the same idea, or the system is just really laggy, because the number keeps decreasing super quickly now... AAAAnyways. All the rest still stands, so yeah. Have a good time! Hi! I do believe I won your scrap raffle, but it seems your friends list is full. Do you have a trade url? thought i would say hi... and sup? Hey bighead. Hope all is going well. Have some green! Hey, I won your raffle, but I can't add you because your friends list is full. Please contact me when there is a way for me to receive the item. Thanks! add me, give me prize. Hello, I won in your raffle http://tf2r.com/k0xs973.html. How can I get a prize? How about this: Accept my friend offer, award me my key, unfriend me, The end. Can I please have my key? Please? Read the rules, i'm surprised youre not banned. Placeholder items can be used as substitutes for steam gifts or invites, but the placeholder has to be delivered as well. So therefore you cannot placehold your key for a scrap and a scrap for a key. You did good Simmons, you did good. Now, fix the Warthog! Sent you a friend request just now to receive that scrap. Thank you for the raffle! can I has my scrap? send me request? Hi BigHead.. Do you remember me? 100 ppl is noting plz fukin add meh and give key already, im moar important than de 99 others. Mate i won your raffle but i can't seem to add you. Seems like your friends list is full or steam is being buggy again. Hey. I was one of the winners of your key raffle! Please accept my friend request. Thanks! Whats with the weird image link on that one raffle? I think you didn't see my answer to you on my raffle, so: yes, I got the idea from that! I think you don't deliver for a reason, thats why. You're orange... When you could have been green... I don't get it. I win your raffle and I sent friend request yesterday. What classes in particular do you collect 2783 for anyway, out of curiosity? Concerning the half-equilibrium, 4659 (your positives) / 2 = 2329.5, which is close to 2825 (your negatives). Saving your sets for steam events? Why do you get some type of boost or bonus? Ay, won your raffle. Waiting for you to accept my FR. It's fine really, that's hella screp to deliver. I added you and pls send me a trade offer for the scrap thanks. on your new puzzle the 3rd one in is it km6qtui? So, are you trying to get negatives? Or is it an inside joke? Do i need to pay to enter the raffel? Give me it pleas ! It's Lousiana in a nutshell. The missing of "i" was intentonal. I was bored, so: http://puu.sh/9QKwh/ae7fc7189b.jpg. I'll never do anything else for you, got it? how the hell do you accomplish this? He was there, and then he was gone, farewell. Have you really got banned because of russian made up by Google Translate and not being quite understandable in the first place? Darn, i hope they'll let you return. Can't believe you did it to yourself once again. Spoke to him earlier. At least the appeal was successful, but I guess that puts an end to anything that involves plus or minus signs. How can you tell if a raffle is A21 or 121 when it isn't your raffle? Congrats on all those negs :3 What are you trying to do with them? Why 463 Negative Rating? Have you been screwing peoples life? Did you at least read what i wrote on the raffle? Good Luck with the -rep man! Looks so hard to do... Wonder how far your going to go before giving up! hey, I never meant any offence removing you, I just thought there was something in particular you added me for.. but then stopped talkin'. 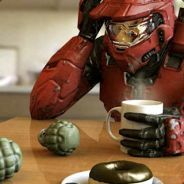 I don't have a lot of "friends" on my steam.. mostly people I trade with. Sorry for the misunderstanding. Some red for your profile too. :P took away my +, if it still matters. I'm white. Just as paper and snow. And you. And your cup. Whats up with the negs? I saw the discussions in the forum and anticipated your return. Welcome back. Would you kindly not repeat your mistake again. Didin't think you'd actually do something as stupid. What a disappointment. First time I ever see Cheeseburgerstreisand do something and it's for an unjust ban. No offense, but it's true. Why ... :< It wasnt worth it, was it? Yaaay :D Be a panda .3. Really enjoy your daily raffles , have to smile every time seeing them. Also your pic is so "interesting". They may say so, but deep down inside them, there is a small child, that is constantly gazing into the day and night sky, hoping, waiting for the purest of rainbows to emerge, to bring them what is their only form of joy whilst trapped in the body of a diabolical beast of a person, to give them a reason to go on in this nightmare that is their life, to make them forget all their problems and cry with a smile so powerful it would make grown men cry, and shout "I couldn't possibly be happier!" to then return to its miserable life of solitude from their true selves with glee and anticipation for the next rainbow to come, that my friend, is the power of a rainbow.